Kids need good food to grow up healthy. Cooking Matters helps parents and caregivers struggling with limited food budgets learn how to shop for and cook healthy, affordable meals. Cooking Matters is a campaign of Share Our Strength, an organization working to end hunger and poverty. 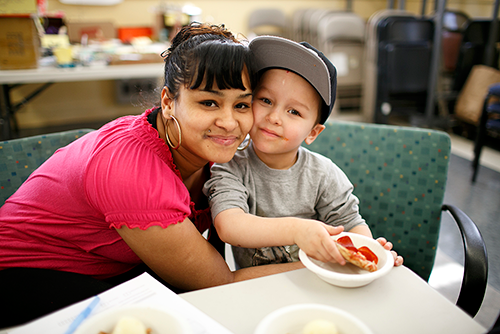 As a campaign of Share Our Strength, Cooking Matters Colorado helps parents and caregivers struggling with limited food budgets learn how to shop for and cook healthy, affordable meals.